O.J. Simpson – “The Theft if Fine if the Stuff is Mine!” – Wrong. He’s GUILTY – 13 Years and a Karmic Outcome! Every choice has a consequence. No one, I repeat, no one can escape this. It is a law of the universe! Those words come from experience, because just like O. J. I, too, faced the consequences of my choices as eighteen years ago plus one day I did what O. J. will soon do – step into prison. Never once would O J. Simpson have dreamed when he walked free from the courtroom in the trial he faced for the death of Nicole Brown Simpson that thirteen years later he would walk out of a court room found guilty on charges that would potentially send him to prison for the rest of his life. Yet, late on a friday afternoon in October O. J. was found GUILTY on all charges. After the charges were read, O. J. was handcuffed and led to a new stage of life – one where freedom alludes you. Speaking from experience, it is not a pleasant place. The jury of nine men and three women, none of them African-American, reached its verdict after 13 hours of deliberations Friday. Jurors heard from 22 witnesses over 12 days of testimony. Chief among the witnesses were seven of the nine people inside Room 1203 of the Palace Station Hotel and Casino for the September 13, 2007, confrontation. In an earlier post I stated, “Have you ever noticed that it’s impossible to avoid outcomes that – on the surface you would think – you want to avoid. Oh, for a time, you might think you could dodge the bullet, but then reality hits and, once again, you are hit squarely in the face with reality. For O. J. Simpson that rings true. Reality is – O. J. Simpson is sabotaging himself.” In fact, with this guilty verdict he accomplished his mission. No I’m no psychologist so I have no formal educational basis for my claim and even though I state that here, I am sure I’ll receive comments to that effect. But, I do have a Ph.D. from the school of practical experience. And, let me say, that is one of the most significant learning environments I’ve ever participated in. So let me state again my premise – O. J. Simpson is sabotaging himself! The question is why? Why would anyone take actions – either consciously or unconsciously – that would bring about an outcome that, by most standards, people would not want? Why when at the beginning it would see that all was going your way? Orenthal James Simpson rose to national prominence as a football player at the University of Southern California, winning the Heisman Trophy in 1968. He went on to play for the Buffalo Bills and the San Francisco 49ers and retired after the 1979 season. O.J. was inducted into the Pro Football Hall of Fame in 1985. On June 12, 1994, O.J.’s ex-wife, Nicole Brown Simpson, and her friend Ronald Goldman were found stabbed to death outside her house in Los Angeles. Three days later, Simpson, who was charged with their murders, failed to turn himself in and led police on a low-speed — and highly televised — pursuit in a white Ford Bronco. He had left what many considered to be a suicide note that asked the media, “as a last wish, please, please, please, leave my children in peace.” The surreal chase ended at Simpson’s home, where he surrendered to authorities. A jury acquitted Simpson of double homicide on Oct. 3, 1995, after O.J.’s defense team cast doubt on all the evidence, suggesting it had either been contaminated by bungling lab technicians or planted by police trying to frame Simpson because of his race. In a 1997 civil trial, where the standards for guilt are lower than in criminal proceedings, Simpson was found liable for the deaths of his ex-wife and Goldman. He was ordered to pay $25 million in punitive damages divided between the victims’ families and $8.5 million in compensatory damages to the Goldman estate. Despite efforts by Goldman’s parents, Fred and Pattie, above, much of the judgment remains unpaid. On Oct. 3, 13 years to the day Simpson was acquitted of double homicide, a jury convicted him of armed robbery and kidnapping charges stemming from a September 2007 incident in Las Vegas. Simpson and five men raided a hotel room and took memorabilia that the Hall of Famer claimed had been stolen from him. He now faces a possible life sentence for the six-minute encounter, which was secretly audio-taped by the auctioneer who arranged the meeting with the unsuspecting collectibles dealers. Of course the only part of the story yet to be completed is the sentence. If one is guilty of a crime, then one will continue to do things so that guilt is brought to light. While Simpson got past the murder charge (and perhaps he was innocent), there is something lurking that brings Simpson the need for punishment. So, having avoided what some would call his just reward, O. J. has chosen to act out in different ways so that equilibrium is restored. O. J. is guilty of something and the need for punishment is being manifest by his actions – whether conscious or unconscious. A universal law is at work here – you will reap what you sow! And, until that law is satisfied, you will continually have the opportunity to reap till there is equilibrium. While reaping and sowing, at least in O. J.’s case, seems to focus on the negative, I know from experience that one can experience negative consequences from one’s actions, but likewise, you can enjoy positive results from the seeds you sow. From prison to Senior Sales Executive in a public company – I know that first hand from personal experience and speak about it regularly. Perhaps, once O. J. is past this phase of his life and has satisfied his need for punishment, he’ll have the time to pay it forward and give back using his celebrity for the benefit of others. Till then – mark my words – a universal law is in play and once started it will find balance. Just on CNN.com to day was an article on “The Secret,” the book that has taken the world (literally) by storm outlining what has commonly become known as The Law of Attraction. While there is nothing new about this “Law” – it’s been written about for decades – what is new is the presentation and the popularity in our culture. So what’s really at issue? Let’s look an example. Not long ago I heard a lady expressing how “The Secret” had changed her perspective – how she was going to use the law of attraction to change her health and wealth. She was pumped and full of enthusiasm. Seems she had been ill for some time and felt that through using “The Secret,” she could attract the funds she needed to seek some desperately needed medical help. On the surface everything seemed reasonable. You attract to you what you seek or what you hold in consciousness. Therefore ask and you will receive, a fundamental tenant of “The Secret” or “the Law of Attraction,” should yield the results that you seek. Wow…my first thought was here was someone who knew that perhaps they wouldn’t qualify for a benefit, but was willing to play the system for personal gain. Would they willing to be honest and accept the consequences? Again, let me make it clear – I don’t doubt the illness – I’m concerned about the ethics of taking what may not be rightly theirs. But the story goes deeper. While on long-term disability the individual in question found out that the insurance company had her under investigation. It seems that insurance companies are quick to investigate in order to avoid fraudulent claims or payouts. Do insurance companies use ethical tactics in order to find out the truth? Probably not – however, there have been many documented claims of disability when, in fact, it was not 100% true. Does this justify unethical investigational tactics? No, but one could see how that could apply when the rest of the story is revealed. Let’s take it a bit further. A person who has 100% disability prepares for a trip to a large city in anticipation of a major performance at a world renowned venue. Wait – this is confusing, I thought folks with disabilities – especially 100% were, well let’s say, challenged with strenuous effort. I agree. But let’s look at the facts – packing suit cases, traveling to the airport, boarding a plane, going to the hotel, practicing for hours (in anticipation of the performance), standing for hours (before and during the performance) and then attending a celebration meeting following. Doesn’t sound like someone who is totally disabled. But there’s more. How did this go undetected by the insurance company? Good question. One suitcase was wrapped up like a gift so that it would not appear suspicious as it was taken out of the dwelling. And, upon return, the disabled individual exited (not at her dwelling), but a ways away – so that she could move behind the building – jump a fence – and sneak in the back door so that anyone watching would not know that she returned. And what about the suitcases. She had them taken to another location so that she could unpack them a little at a time – carrying the contents in grocery bags – again to fool any insurance investigator who might be looking. “I don’t want them to know I’ve been away. Otherwise, they would follow me and use the trip against me in their attempt to deny my claim,” stated the individual. It appears that the insurance company would contend that she could do some work – and while that might be true – she sure didn’t want to let them know that. While I will say, yet again, that I don’t doubt her illness – I am amazed at the lack of ethics and integrity involved in trying to dupe the insurance company – thereby, enabling the ability to gain financial benefit. What seems true is that the laws we speak of work only if they are congruent with other universal laws. For example, the “law of attraction” will not reward someone financially if they rob a bank, as that is in congruent with the “law of cause and effect,” which will generate a negative consequence for the robbery – prison. Similarly, one will not be rewarded with positive results long term through lying. We do reap what we sow and, generally, on a universal level we have in our lives what we attract to us. In this case (I may be proved wrong – but I don’t think so), I doubt that the universe, through the “Law of Attraction” will provide the necessary funding for the medical care this person seeks – since such attraction would be in congruent with other universal laws. Dishonesty, unethical behavior, or lack of integrity, all combined will produce an outcome that is less than this persons best. As a motivational speaker who speaks on the “Law of Attraction” as well as the “Law of Cause and Effect,” I feel compelled to share with this individual the truth about the application of these laws. Yet, after seveal conversations – I’m quite convinced the message won’t be heard. So often we get so caught up in our web of deceipt that we can’t see the truth – even when it’s in front of us. More importantly, we may not be willing to accept the consequences of changing our behavior – and at that point, the consequences – when they appear – will be more dramatic than we might ever anticipate. 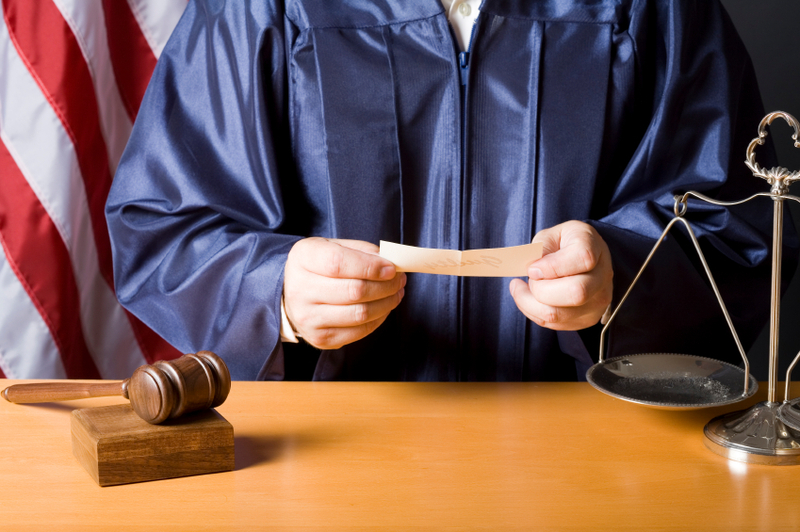 Insurance fraud is punishible by prison – which is not the outcome being sought. For information on presentations made by Chuck Gallagher as a motivational speaker or keynote speaker – visit www.chuckgallagher.com or feel free to contact Chuck at chuck@chuckgallagher.com. It was a crisp October day in 1995, a day I hoped would never arrive. As we drove up to my newfound destination, I opened the car door, stepped out on the curb and 23 steps into a life changing experience. I walked in to Federal prison. What I did not understand then, and likely would not have believed then, was that the outer circumstances I was experiencing was a direct result of my inner state of mind. Simply put, I was not the victim of my circumstances; I was the architect of them. Because of my beliefs, my thoughts, and my actions — I had created the perfect environment for my learning. Of course, learning was the last thing I had on my mind as I walked through those prison doors. In his book, “Why You’re Dumb, Sick and Broke…,” Randy Gage, international speaker (http://www.randygage.com), shares powerful lessons about why millions of people fail to achieve their greatest health, happiness or prosperity. While not new material, Randy, in his own unique style presents the concepts of accountability in abundance in a way that few have the courage to present. I must admit, it took me years. Following this painful experience to understand that I was solely responsible. Every choice that I made — even the tiny ones that seem insignificant — contributed to the overall consequence. I had chosen to live a life of illusion — appearing to be something and someone I was not. At the time I did not understand that the conscious choices I was making were based on subconscious beliefs. The extraordinary misfortune of being sentenced to prison was really the culmination of so many bad choices made earlier. There is a spiritual law, whether we like it or not, we are forced to live by. You reap what you sow! If the thoughts that permeate your being are in alignment with your higher self, you can expect health, happiness and prosperity. Unfortunately, so many of us find that we make decisions and choices that do not serve us. We can create one bad experience after another, and never understand that we are not the victims. Night after night, when lights were out behind prison walls, I heard inmate after inmate bemoan their circumstance and claim to be a victim. After all, it wasn’t their fault. Someone else should have gotten caught. If only someone had been there to help them. I mean, really, what can you expect, I am disenfranchised by “the man”. Me? I was guilty. I had made choices that brought me despair, sadness and shame. Yet, there was one thing that I did know, everything happens for a reason and this was my time to learn. The programming you are exposed to create your core — your foundational beliefs. These core beliefs help you develop your vision of your life. Your vision creates results that conform to it. What you see, you shall someday be. There is no judgment in that statement. The universe does not judge our choices or our outcomes. Rather, the universe delivers consistently, what we truly desire. Just as our programming can create negative cycles in our lives, such as money worries or consistently poor relationships, we have the power to create a positive vision. As much as it saddens me to say it, programming, early on, set into motion the patterns I lived my life by. I, like most people, was unaware of the power of the patterning I received and the consequences that would follow my choices. He would never have convinced me as a child, or even as a college student that I would end up in prison. Yet, looking back, I consistently exhibited behavior that any rational person would have known was wrong. Good news! We can change our patterns. We can change our choices. And, the consequences of our actions, can lead us to happiness and prosperity in life. Is easy? No! But, it can be done. I am living proof. Once I recognized the destructive patterns I was living, I made a choice to change. Of course, I have to admit it took been stripped of my marriage, my possessions and my career — while sitting in prison — to get it. I, like so many, had to change my inner attitude, so I can experience prosperity and happiness. Just like the message stated in “The Secret,” (http://www.thesecret.tv/) which is sold over 6 million copies, there are laws in the universe, which will give you predictable results. The Law of Attraction does not judge what you want. It only delivers. 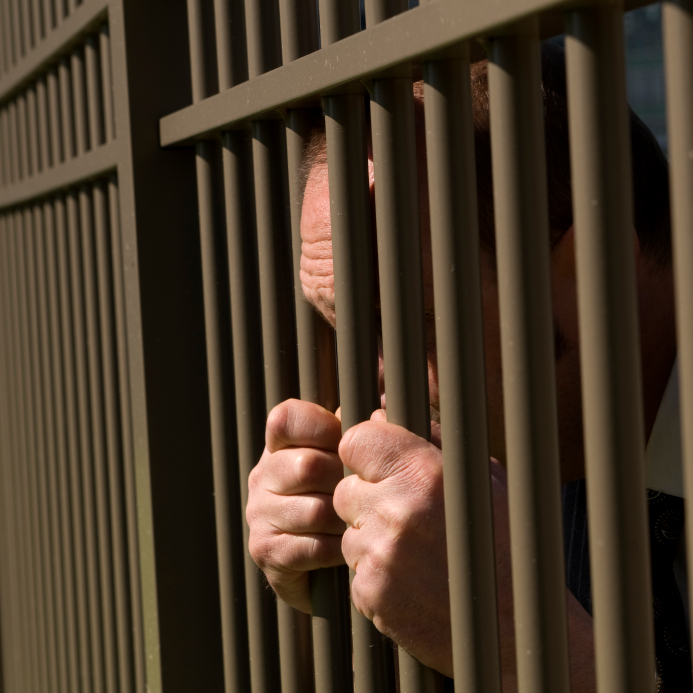 Looking back on my prison experience 12 years ago, people often ask, “So, what was it like? Or, what did you learn?” My response? “It was the best experience of my life — in that, it helped me learn about me and understand more fully. My life’s purpose.” Today, I am blessed to have the opportunity to share this experience with others — perhaps helping them find their own truth. And create their own abundance and prosperity. Every choice has a consequence. It can be either negative or positive. Whatever the consequence, we attracted it. Therefore, we have the power to choose, whatever consequence we prefer.